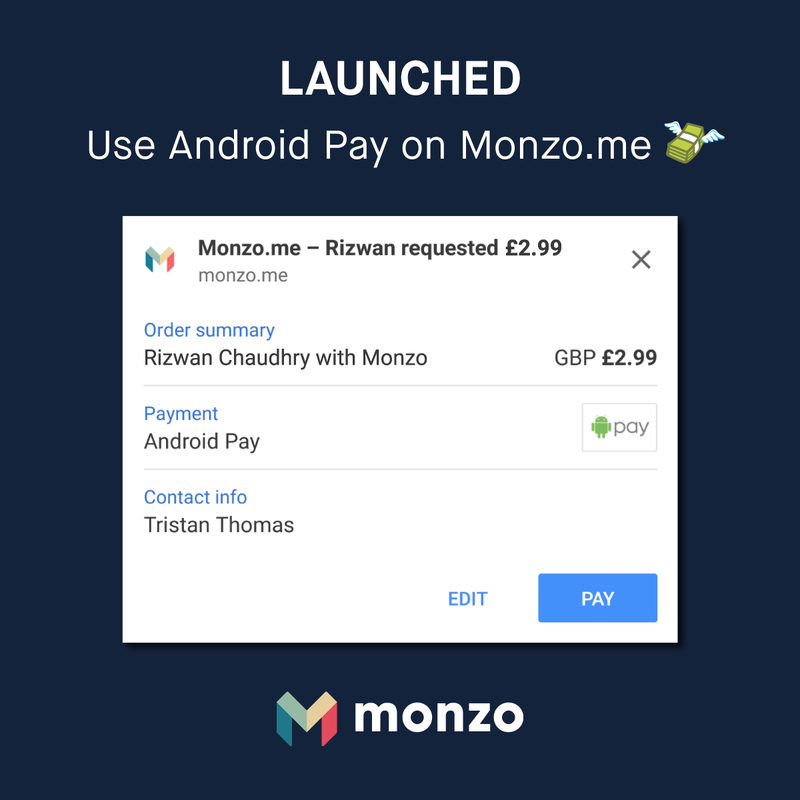 Pay in 15 seconds with Android Pay on Monzo.me! 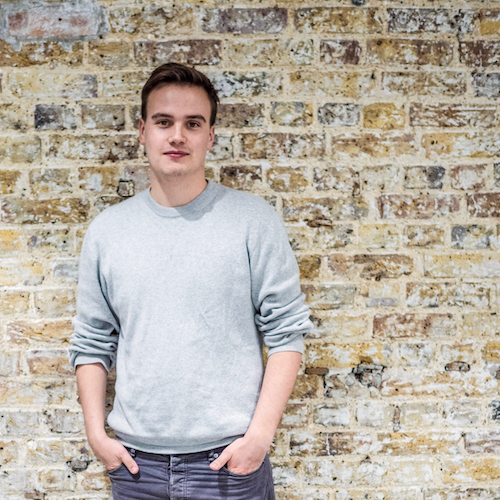 Monzo.me just got an upgrade! From today, if you visit a Monzo.me page on a phone or tablet that has Android Pay, you’ll be able to pay your friends and family even faster. No typing required and it should take less than 15 seconds. And for those of you asking about topping up your Monzo card with Android Pay in the app…well, let’s just say you’re going to like our next app update. We’d love to hear what you think! Please let us know on Twitter or the forum and get your friends to try it out.